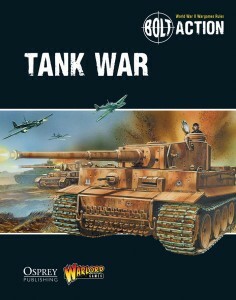 Warlord Games now has their Tank War supplement available over in their webshop. Ever wished that you had an armoured division under your control? Tank War – our latest supplement for Bolt Action – gives players the option to expand their games to fully armoured warfare. Recreate such great engagements as the battle of Kursk with the scenarios, army options and special rules found in the book. Whether you want to add more armour to your existing armies or build an entirely armoured force, Tank War opens up a new dimension for Bolt Action players.